Making a marine cutting board with breadboard ends and don’t own a plow plane? Solution: tiny mortises (with drawbores). 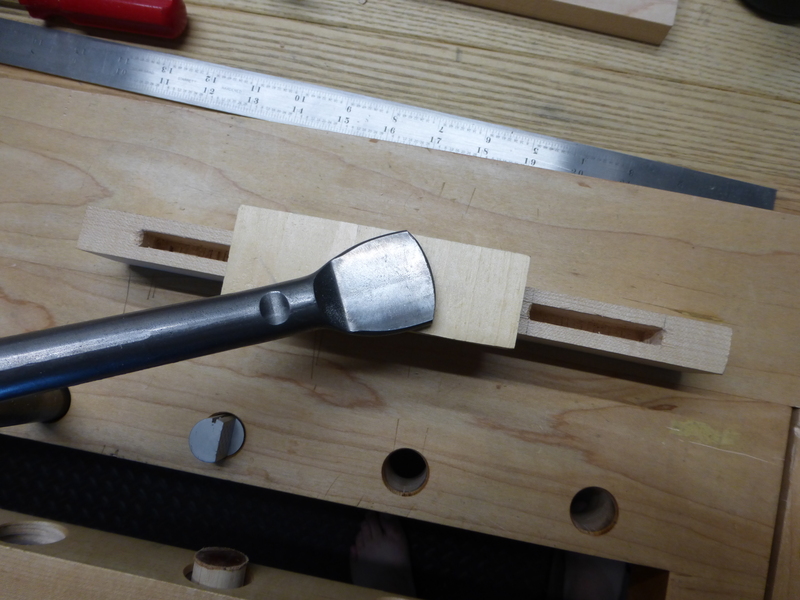 It’s a mortise and it’s tiny.